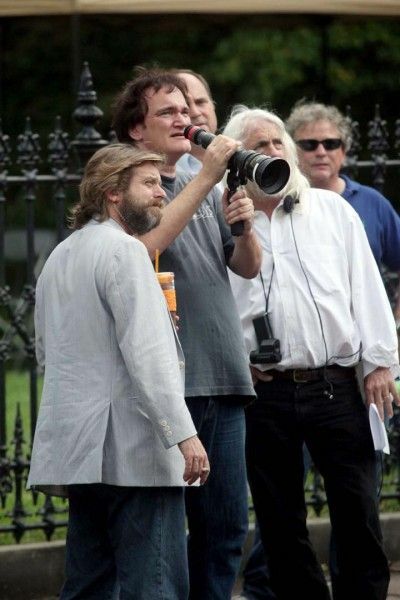 Quentin Tarantino is currently busy shooting his slavery-era spaghetti western Django Unchained, and now the first images from the set have landed online. We get our first look at Christoph Waltz in character as a German bounty hunter who teams up with an escaped slave (Jamie Foxx) who’s bent on rescuing his wife from an evil plantation owner (Leonardo DiCaprio). 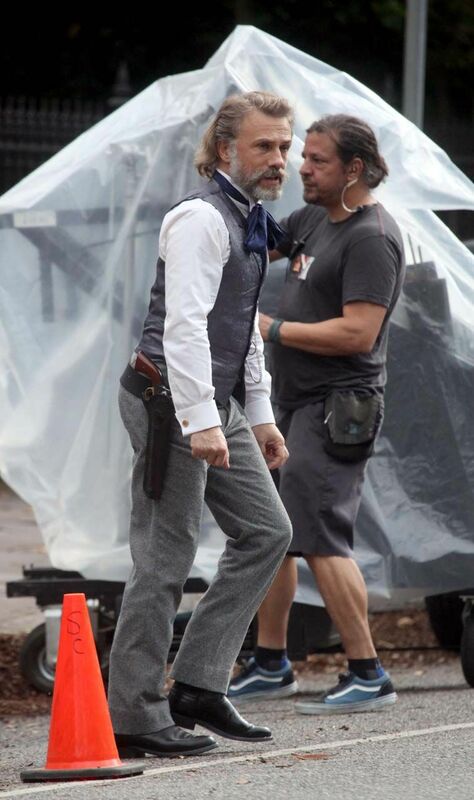 It’s not much, but the sight of Waltz decked out in his period gear has me giddy at the thought of a Tarantino-fied full blown Western. We also get an image of the director on set with cinematographer Robert Richardson. We’ve also got the first set photos of Mark Wahlberg and Rob Corddry in Michael Bay’s crime comedy Pain and Gain, including some images of Wahlberg doing some harness-enhanced crunches. Wahlberg and Dwayne Johnson play bodybuilders who get caught up in an extortion ring and a kidnapping scheme that go terribly wrong. Hit the jump to check out the images. Images courtesy of ChristophWaltzFans.com (via The Playlist). Django Unchained opens on December 25th. Images via JustJared and WWTDD.